Wherever you need us, we're there. A simple path to feeling better today. 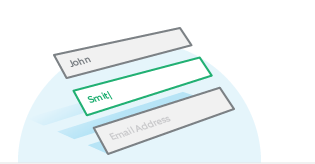 Click any of the green buttons on this page to easily create an account in minutes. You'll answer a few questions and then be on your way to meeting with a Healthcare Provider. We'll also ensure that your device is setup correctly. Your real time video consultation will take 10-15 minutes. You’ll discuss your concerns and work with the Provider to come up with a treatment plan. You can even show us where it hurts, itches or stings via our secure video system. See a list of common ailments that are easy to diagnose and treat via virtual care. 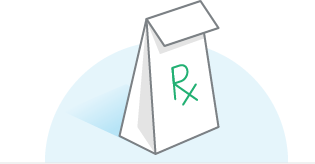 Prescriptions can be sent directly to your pharmacy. We will complete a set of care instructions that can be shared directly with your primary care physician, making sure your doctor is kept up to date. A cost-effective way to get the care you need. The cost is less than most co-pays, and typically qualifies for FSA, HSA, HRA Accounts. Dedicated to You and Your Health. There Virtual Care is proud to partner with Twin Rivers Urgent Care, LLC to provide the professional services to There Virtual Care patients. Twin Rivers Urgent Care operates four centers in Nebraska in addition to the virtual visits offered through the There Virtual Care platform. Most our team members are Nebraska-raised and educated and are committed to offering virtual patients the same quick, high quality service they would receive in one of the urgent care centers. With a combined 190 years of experience, our medical providers are available M-F 8-7:30, Sat 9-5:30. Wait times in the queue average less than 5 minutes so you will be seen by a friendly, familiar provider - quickly. Call from your home, office, car, or anywhere in the state. Wherever you need us – we’re there. 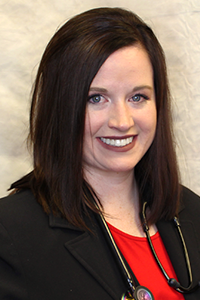 Abby Hansen brings six years of experience to There Virtual Care. She received a Bachelor of Science with Distinction in Biopsychology from Nebraska Wesleyan University in Lincoln, NE in 2009. She went on to receive her Master of Physician Assistant Studies degree in 2012 from Union College in Lincoln, NE. For close to four years, Abby worked in a hospital in central Nebraska. She has been working in urgent care for two years. She has Life Support Certifications in Basic, Advanced Cardiac, Advanced Trauma, and Advanced Pediatric. She also is certified in IMPACT Concussion testing and is on the National Registry of Certified Medical Examiners. Abby also takes time to teach women in the community the importance of preventative health and has spoken on Breast Cancer awareness and screening as well as vaccinations and diabetes. Bryan Mizner brings eight years of healthcare experience to There Virtual Care. He is certified by the National Commission on Certifications of Physician Assistants (NCCPA) and holds a Nebraska Physician Assistant license. 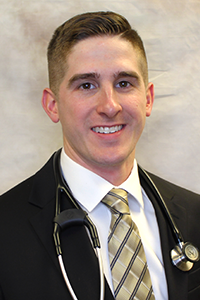 Bryan has worked in emergency medicine and joined Twin Rivers Urgent Care in August 2017. Bryan holds Advanced Trauma, Advanced Cardiovascular, and Pediatric Advanced Life Support as well as Basic Life Support certifications. Bryan Nokelby has 24 years’ experience in family practice and urgent care services. 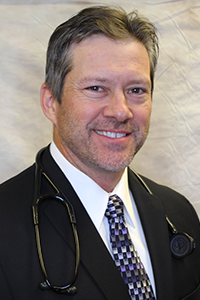 He received his medical degree from Creighton University in 1994, and after completing his residency settled in North Platte where he practiced family medicine for 8 years before opening Twin Rivers’ first urgent care center in 2006. Since then he has led Twin Rivers’ expansion to the four facilities in Nebraska with the mission of putting the patient first. Dr. Nokelby instills that philosophy with his teams in both the urgent care centers and the virtual care platform. He is certified by the American Board of Family Medicine. Charlyne (Charly) Spangler has worked in the healthcare industry for nine years. She received her Master of Science in Nursing in 2013 and joined Twin Rivers Urgent Care. She worked as a critical care nurse and a pediatric home health nurse before achieving her Advance Practice Registered Nurse certification. She is a Board-Certified Family Nurse Practitioner through The American Academy of Nurse Practitioners (AANP). She practices both urgent care and primary care. Charly is currently enrolled in the Doctor of Nursing Program at the University of Missouri Kansas City, with a special focus on virtual medicine. 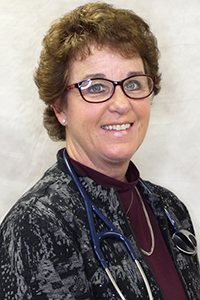 Cheryl Hunt has 35 years of experience as a Nebraskan medical professional. She started as a CNA and worked her way up to NP. 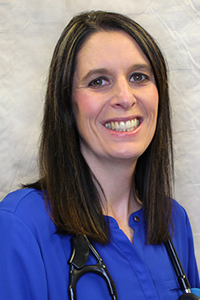 She has practiced as a Licensed and Registered Nurse in both Medical Centers and Hospitals in Nebraska and was a flight nurse at Good Samaritan Hospital for over 10 years. While there, she received the Nursing Educational Excellence award in 2005 and 2008. She completed her Master of Science in Nursing from the Family Nurse Practitioner Program, University of Nebraska - Kearney in 2011. She has experience in the ER, ICU and flight. Cheryl has taught many medical courses including, ACLS, PALC, BLS, TNCC. 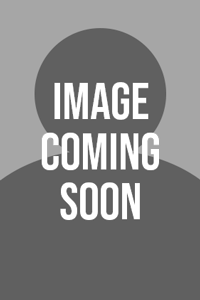 David Farrar provides his 11 years of experience for There Virtual Care. He graduated from MidAmerica Nazarene University of Olathe, KS with a Bachelor’s Degree in Biology, Chemistry, and Secondary Education in 1990. He received his Physician Assistant Studies degree from Union College of Lincoln, NE in 2007. David’s experience includes working in family practices, medical clinics, and nursing homes as well as in hospitals and emergency rooms. Jodi Fuehrer brings 27 years of healthcare experience to There Virtual Care. She graduated with her Masters of Nursing Degree as an Advanced Practice Registered Nurse (APRN) from Creighton University in 2008. 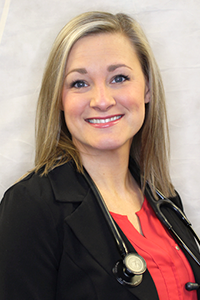 She is nationally certified through the American Academy of Nurse Practitioners (AANP) as a Family Nurse Practitioner and holds a Nebraska Physician Assistant license. She worked in family practice for 6 years before joining Twin Rivers Urgent Care career in 2014. She completed a mini-fellowship from the Mayo Clinic in the Diagnosis and Treatment of Children and Adolescents with Psychiatric Disorders. 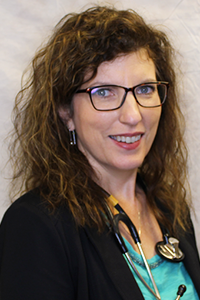 Prior to completing her nurse practitioner degree, she worked as a RN for 15 years in the areas of obstetrics and gynecology, oncology, occupational medicine, and school nursing. Johnna Pierson received her Master of Science in Physician Assistant Studies in 2008 from the A.T. Still University, Arizona School of Health Sciences. She has 16 years of experience in the medical field including working as a Nurse’s Assistant and Home Health Aide to a Physician Assistant. Johnna is bilingual in both English and Spanish and not only received a Bachelor of Arts in Spanish from the university of Nebraska-Lincoln, but also studied abroad for a semester at the Universidad de Castilla la Mancha in Toledo, Spain. Julie Hatch brings her 19 years in medicine to There Virtual Care. She graduated from Creighton University School of Nursing Omaha, NE obtaining a Bachelor of Science in Nursing in 2000 and a Masters of Science in Family Nurse Practitioner in 2009. She has worked in both clinic and hospital settings. Nichole Kinnamon graduated from Creighton University in 2015 where she achieved her Master of Science degree in Nursing. 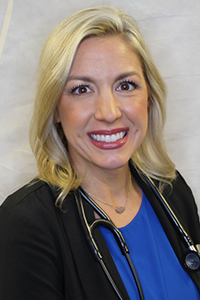 Nichole is board certified in Family Practice by the American Academy of Nurse Practitioners. Prior to obtaining her graduate degree, Nichole worked as a registered nurse for 9 years in open heart recovery at Nebraska Heart Hospital. 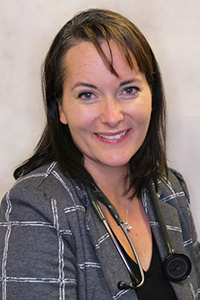 Nichole specializes in family practice and urgent care for patients of all ages. there virtual care began as an idea several years ago as a way to provide affordable care. In our fractured healthcare system the costs have gotten out of control. We felt virtual care was a way to help heal the healthcare experience by providing care to you wherever you are, whenever you need it, at a fair price. Virtual Care cannot treat all injuries and illnesses, but for the most common health issues, we can save you time and money. Our experienced providers are waiting to help you feel better as quickly as possible. We strive to provide an experience where our patients always come first. When you need us most, we're there.